i think it turn out to be fake carolina reaper, but i don't know what kind of hot pepper is this? Edited by uray, 06 August 2018 - 08:08 AM. i am sorry that you wasted your time growing a pepper you wanted to be a Reaper that is clearly not a reaper at all. alternatively join a seed train here, or find other members to do seed trades with. The good news is, you may have still grown tasty peppers however they are most certainly not reaper. 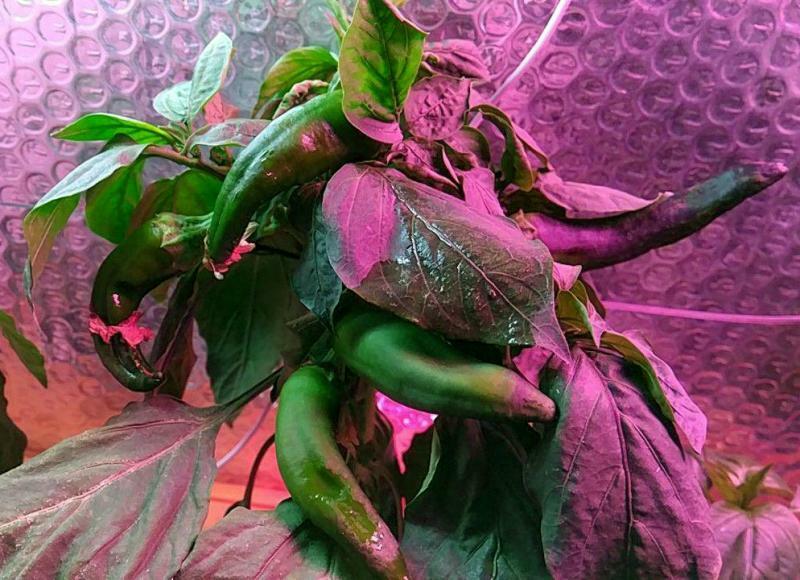 When growing new to me peppers, unexpected hybrids, etc. I generally like to try them in multiple ripeness stages from; green all the way up till overripe and almost gonna go bad. can generally get an idea how to use them best this way, also learn how long they keep after picking . I think it's anyone's guess as to what pepper or hybrid you got. Attempting to even 'name' it as a guess, could continue to lead to misinformation. IMO, best to accept that; it is clearly 'not a reaper', and just enjoy the fruits of your labor, and try again next season. It looks, to me, to be similar to a Serenade, Padron or Jalapeño. I'd try frying it up in its green stage and then just eating it fresh or making poppers once it's red. Should taste pretty good, whatever it is, but that's 100% not even close to being a Reaper. 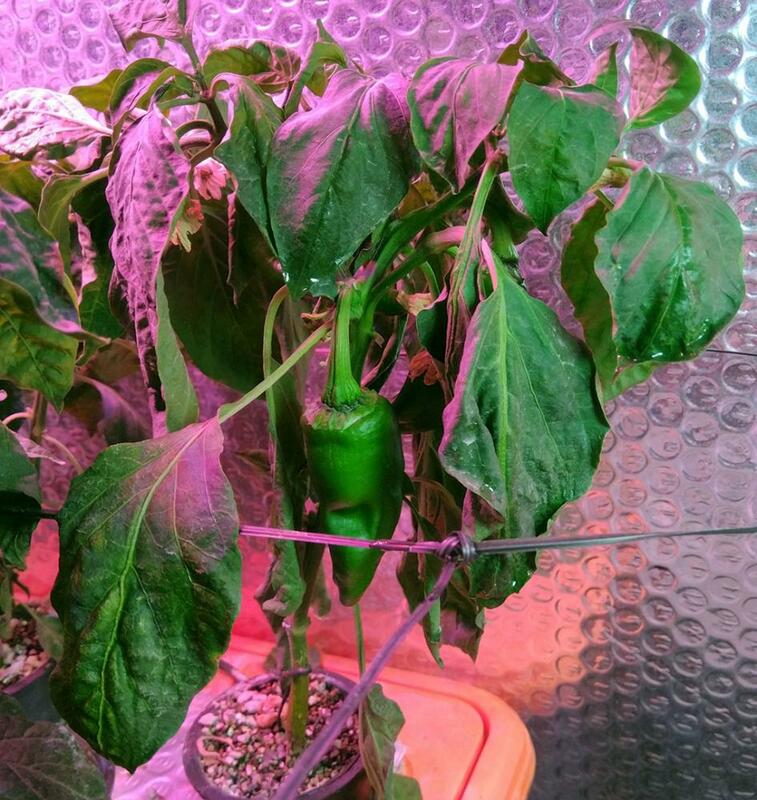 The color of the light in the foto is distracting and will not help with pepper id. I bought some seeds last winter as well from ali...Just curious what the name of the vendor was? Everything about that is shady as hell. 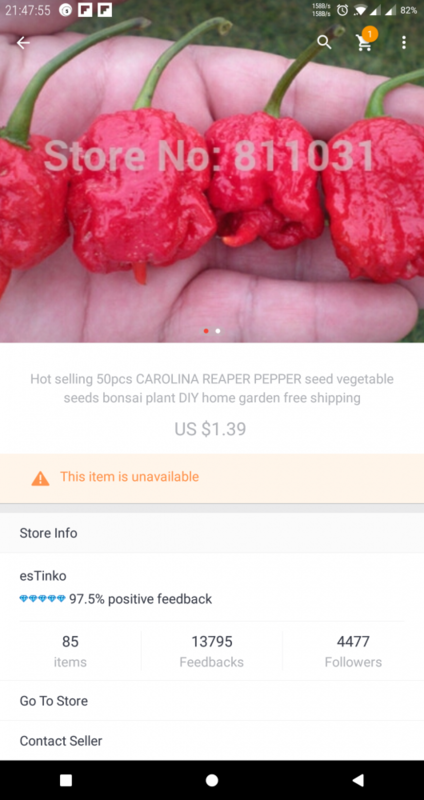 50 seeds for $1.39? Bonsai? DIY lol, and with free shipping. Not to mention that that image of Reapers was taken from someone else. Generally not a good practice to buy from random people (ebay, aliexpress...) even if they have good ratings, I believe. There's a high risk of getting a "cheaper" (Chinese reaper). do you have any recommendation where to buy from on ebay or aliexpress ? Or just choose one of the praised vendors on that sub-forum. Mate, I think many of us have had this issue of buying seeds and then they turn out to be something different. Join the club! What's worse, for me personally, is the care and time involved to getting to the first pods. It is indeed quite dissapointing. This is part reason why I now have my own web presence and (can I say it here? ), sell seeds and powders. 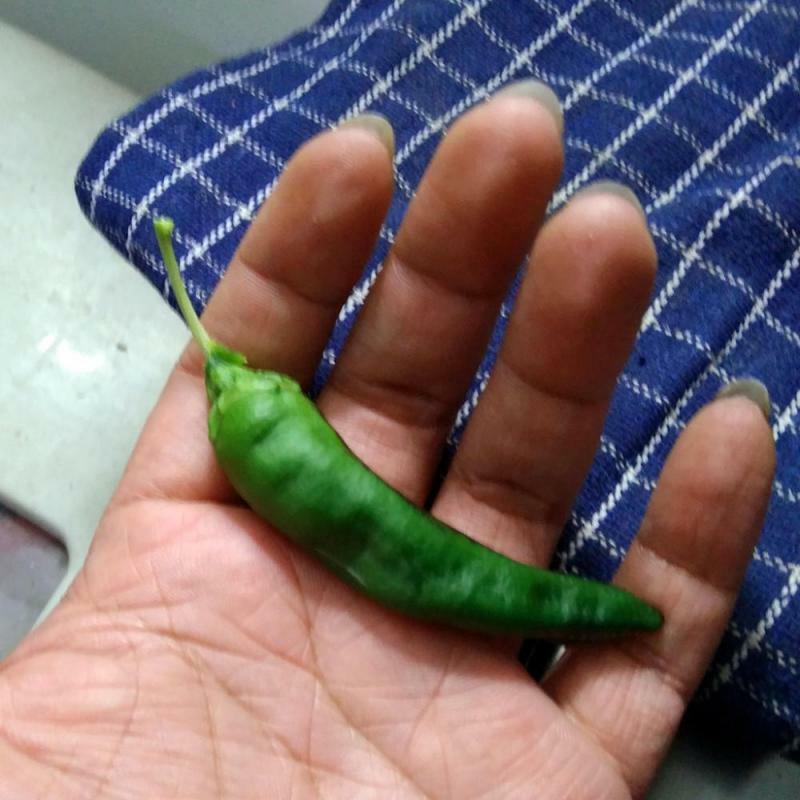 As for pepper id, sorry I cannot help you either. PM me and I'll send you somer reaper seeds, just postage costs to Indonesia if you like. It's not just about the heat, It's about the flavour! Yes, I recommend buying from a vendor named "No One" on eBay. Also, No One on Amazon.